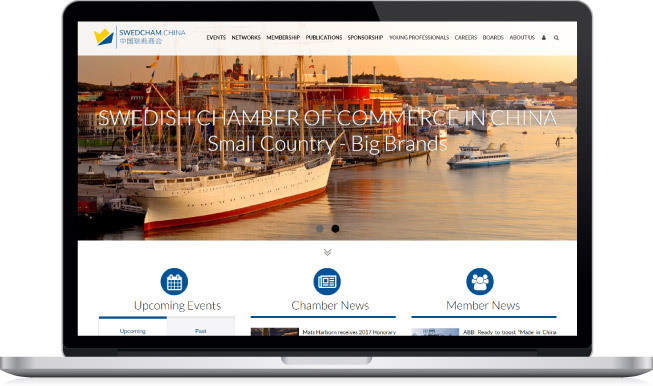 Swedish Chamber of Commerce in China is an organisation with more than 300 members. 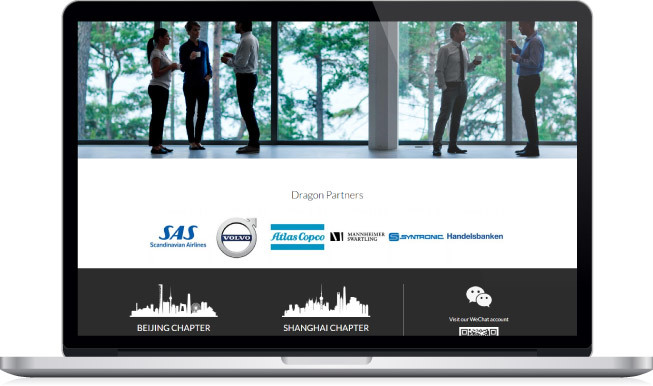 “Small country, big brands” as they write on their website, their mission is to facilitate for Swedish companies doing business in China. 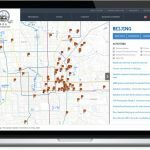 We recently received the opportunity to redo their website. 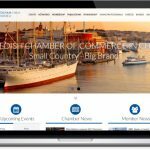 We created a new design and moved the website from an old proprietary system into WordPress. The goal was to make a minimalistic site more easy to navigate than the old one. 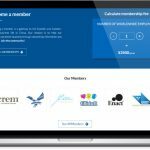 It is also integrated with a 3rd party software, Eventbank, which Swedcham is using for events and for the membership directory. The site is a work-in-progress and we plan to roll out new features in the near future. 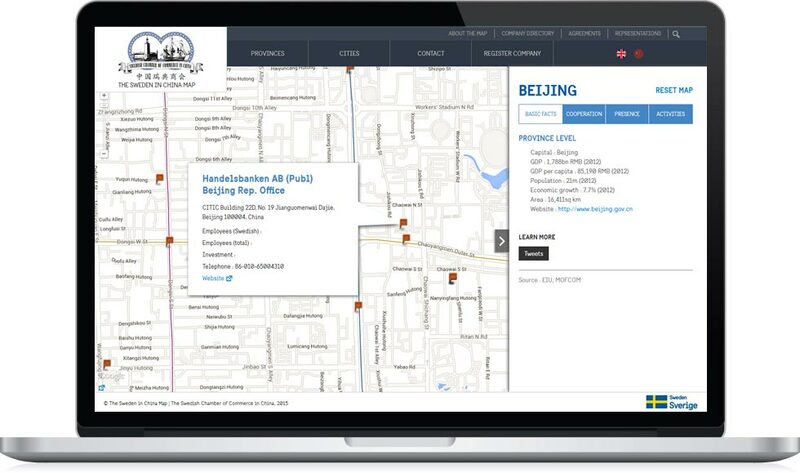 Being the main organization for Swedish companies in China, it was perhaps logical that Swedcham also took over Sweden in China Map from the Swedish Embassy in Beijing. 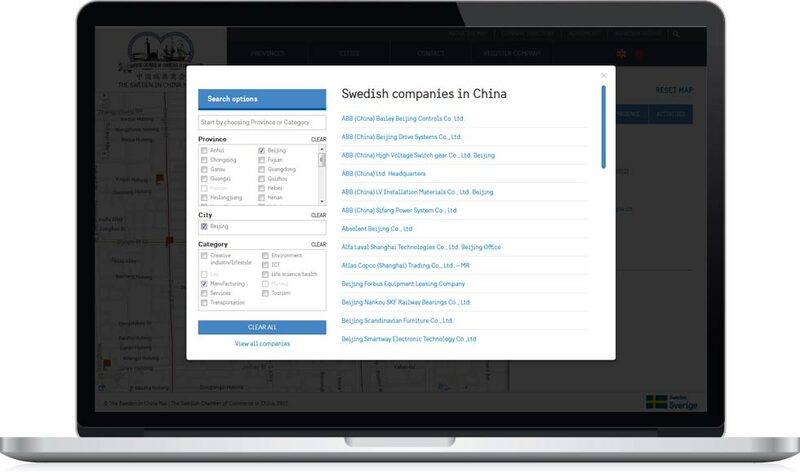 The website was originally built to display Swedish companies in China as well as types of cooperation between Sweden and China, from local- to province-level. 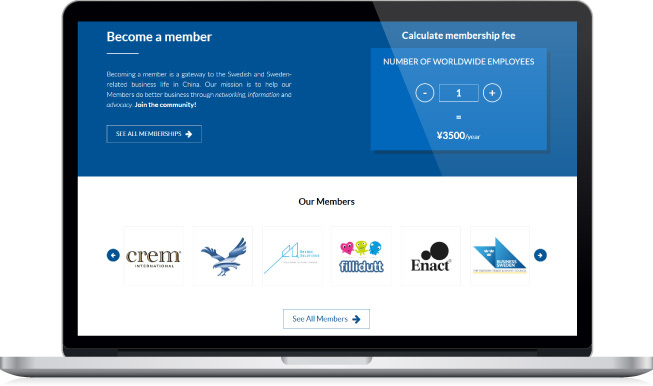 Run by the Swedish Chamber of Commerce it could become an even stronger tool for business. 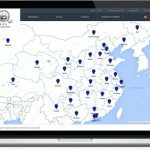 The Sweden in China Map is built on a highly customised, interactive Google map. 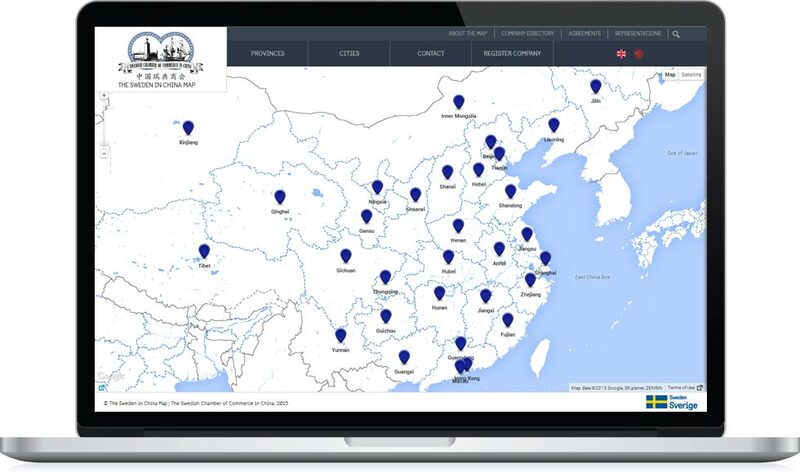 All companies, activities and cooperation agreements are related to a position in a city and a province on the map. 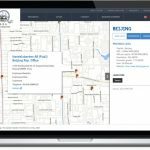 New companies can apply online to register. 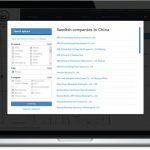 Since Google’s services have become less and less available in China due to the Great Firewall, we developed a new version for visitors from mainland China. 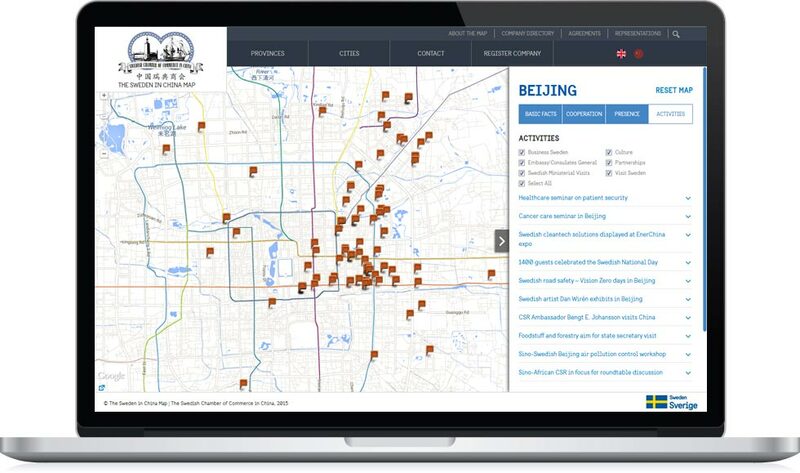 Visitors with a Chinese IP number will instead be served a map from Baidu, China’s equivalent to Google.